Psychology includes the study of human growth and development, of the neural organization of the brain and learning, of cognition (thought) and affect (emotion), of social-cultural influences on thought, behavior, and identity, and of abnormal syndromes, drug treatments, and psychotherapy. 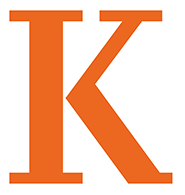 The psychology major at Kalamazoo College covers all of these core areas, as well as a range of special topics, including psychology of music, language, dreams & consciousness, organizational behavior, psychopharmacology, feminist psychology of women, and the cultural psychology of Arab-Muslim societies. Classes are small and many include hands-on research projects and oral presentations. Courses also emphasize critical examination of case studies -- of both individuals (such as the brain injuries suffered by Phineas Gage and “H.M.”) and of experiments (such as Milgram’s “obedience” experiment and its recent replication). Students get additional research experience as assistants on faculty projects and in labs at universities and research institutes, and all majors carry out a one- or two-quarter Senior thesis/research project. These Senior Individualized Projects (SIPs) are designed and completed by each student on a topic of their choosing, and are presented at the department’s annual Van Liere Symposium. SIPs may involve laboratory or field experiments, surveys or interviews, computer simulations, or evaluations of treatment or educational programs. Psychology majors also can get applied experience working in community settings near campus, including at a crisis “hot line,” the county juvenile home, a school for autism-spectrum children, a domestic abuse shelter, and public elementary, middle, and high schools. The psychology major prepares students for careers in social services, counseling, health, education, business, and public administration. Many students combine a psychology major or minor with courses in other departments and with study abroad to pursue international careers in public health, diplomacy, human rights activism, etc. With its strong research emphasis, the K College psychology major provides excellent preparation for graduate study. On a recent Educational Testing Service psychology exam, our majors scored better than 95% of students from other institutions across the nation. Over two-thirds of psychology graduates go on to graduate from professional schools within five years of graduating from K, and the department ranks among the top 20 in the country for the percentage of majors who subsequently receive Ph.D.s in psychology. Recent graduates have been accepted to doctoral programs at New York University, Cambridge (England), Yale, University of Chicago, U.C. San Diego, U.C. Santa Cruz, University of Michigan, Indiana University, Northwestern University, and Johns Hopkins. For more departmental news, click here or like us on Facebook.